The Cool House: Ooh! Aah! Yum! 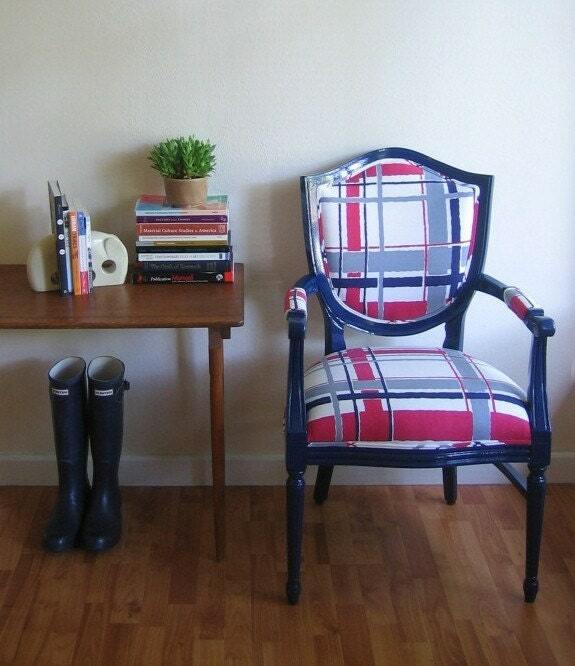 Today's etsy pick: the stunningly gorgeous Windowpane Chair from sprucehome. Classic, modern, chic and cheerful; it'll fit in almost any decor. And how about that photo styling? Pairing it with a mid-century table and wellies? Genius. Update 30 secs after I posted this IT WAS SOLD. They have other beautiful items, though, get 'em while you can. I will take one of everything, thank you! Actually I have the Wellies -- but oh, that chair. Yum indeed.